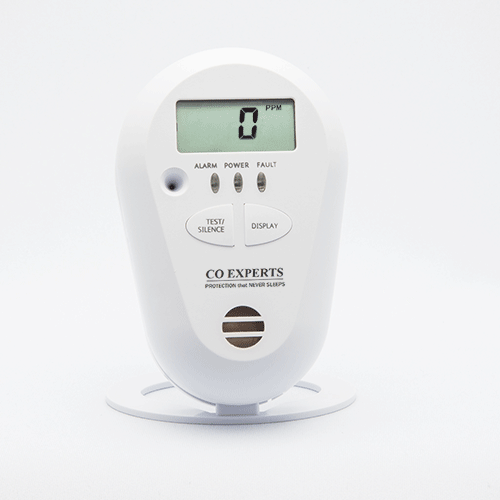 The CO EXPERTS model 2016 is considered by many one of the industries best “Low-Level” Carbon Monoxide Health monitors available to the consumer today. Its unique style allows for either wall mounting or portable use with the included free-standing attachment, and with a simple slide and click of its rear mounting plate the “sealed” lithium battery is engaged, ending your worries about replacing any batteries over the course of the units life. 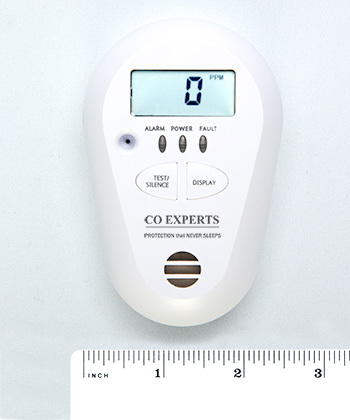 Available in 2 “Lower Audible Alarm Points” of 10 PPM or 25 PPM, depending on your specific needs, and easy to use push button features to scroll through display functions like current and “real-time” CO levels, Peak Recall, and COHb levels. This model also features the same added features as our “Ultra” model, with manual and “automatic silence”, sensor fault, and low battery warning in the unlikely event your units power source is running low before its time. When it comes to protecting yourself, your family and your loved ones – don’t just meet the standards – exceed the standards with real Low-Level CO protection in the CO EXPERTS model 2016. Model 2016 is available in 2 separate versions. Both start visual display of current CO readings at 7PPM.